"Build your house upon the rock" Matthew 7:24. ​Stepmoms, our marriages are vital to the foundation and strength of our family. Many of us look for resources, advice, books, therapist. All good things! But don't overlook the love and advice given by our Lord. YouVersion is an amazing Bible app in multiple languages, readily available and free! Search your app store and get started today! 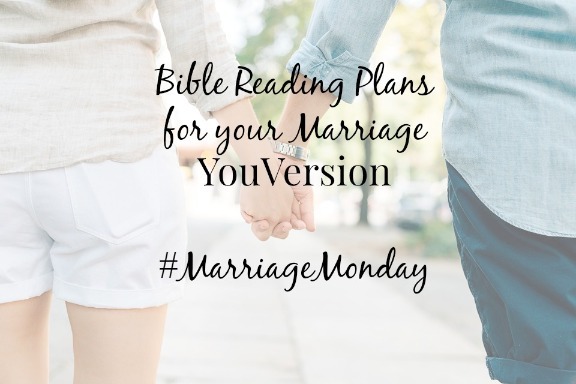 There are many reading plans available to support your marriage. Some plans are specific to husbands or wives, engaged couples, or mean to be read as a couple. I love the flexibility of length with some plans being as short as 4 days to week or full month. Stepmoms, I want you to know what is available to you literally at your fingertips. When we look for help in our marriage, we need to fill our heart and mind with sound advice. Let me encourage you to turn to the Bible as your one unfailing source. Grow in your faith and build your house upon the Rock.